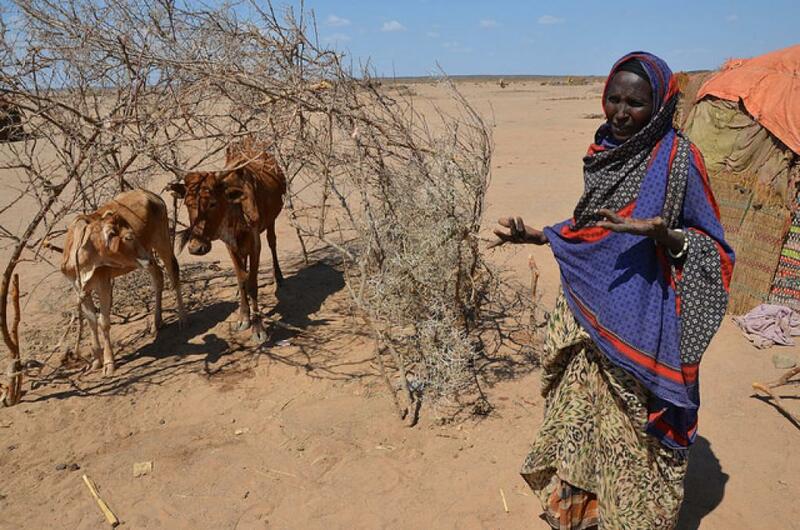 Ethiopia, located in the Horn of Africa, is facing its worst drought in 30 years. With a failed monsoon in 2015 and prevailing El Niño conditions, the drought has impacted agriculture and resulted in the death of more than half a million livestock heads in the country. More than 10 million Ethiopians are in dire need of humanitarian aid and as of December 2015, the country had appealed for US $1.4 billion in aid. Donors have funded only 48 per cent of the appeal so far. Apart from agriculture, many Ethiopian households depend on their livestock for food and income. But the drought is wiping out entire herds of animals, putting a question mark over the availability of food for people. Approximately 6 million children are at risk from hunger, disease and lack of water in Ethiopia as a result of the drought, according to UNICEF. In South Africa, the drought has depleted natural grazing grounds, leading to livestock deaths due to hunger and forced slaughter of animals due to unavailability of fodder. The drought has destroyed 5 per cent of cattle and pork-breeding stock in South Africa, according to media reports. An estimate by the Red Meat Producers’ Organisation (RPO) shows that more than 40,000 cattle had died by the end of 2015 in Kwa-Zulu Natal province alone. This will lead to a rise in meat prices, an important source of protein, and several job cuts in the meat industry.